Hide deals from seller "Potayto Potahto"
Limit 1 per person. Valid on a half-pan of baked macaroni and cheese. Serves 12-15 people. New customers only. Call to place order at least 24 hours in advance. Promotional value expires 30 days after purchase. Ensure your 4th of July party is a success with 50% off a half-pan of baked macaroni and cheese from Potayto Potahto in Evergreen Park ($20 value). This catering tray serves 12-15 people and is a great way to keep the party going. Potayto Potahto specializes in unique potato dishes as well as more traditional classics. Founded in 2010 by self-proclaimed carboholics, this restaurant only uses the freshest ingredients. 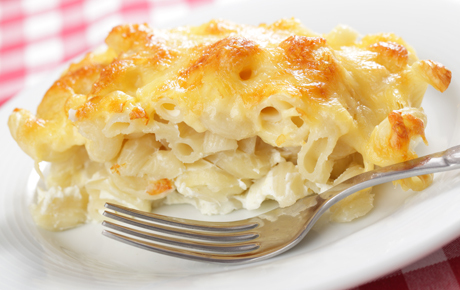 The baked macaroni and cheese is made to order and will please partygoers of all ages. Potayto Potahto also offers catering options like fried chicken, roast beef, mashed potatoes and pasta salad. Their regular menu features a delightful array of gourmet french fries, pierogi, potato pizza and more. Restaurant in Evergreen Park serving potato dishes, salads and sandwiches.